to redeem their points for diamonds, pearls, stud jewelry or a safe deposit box. For every $45 purchased, you will earn 1 point. valued at 200$ or win a safe deposit box. When purchasing an item valued at 100 USD, you will earn 2 points. When purchasing an item valued at 80 USD, you will earn 1 point. you will not earn points for the total amount of your invoice. 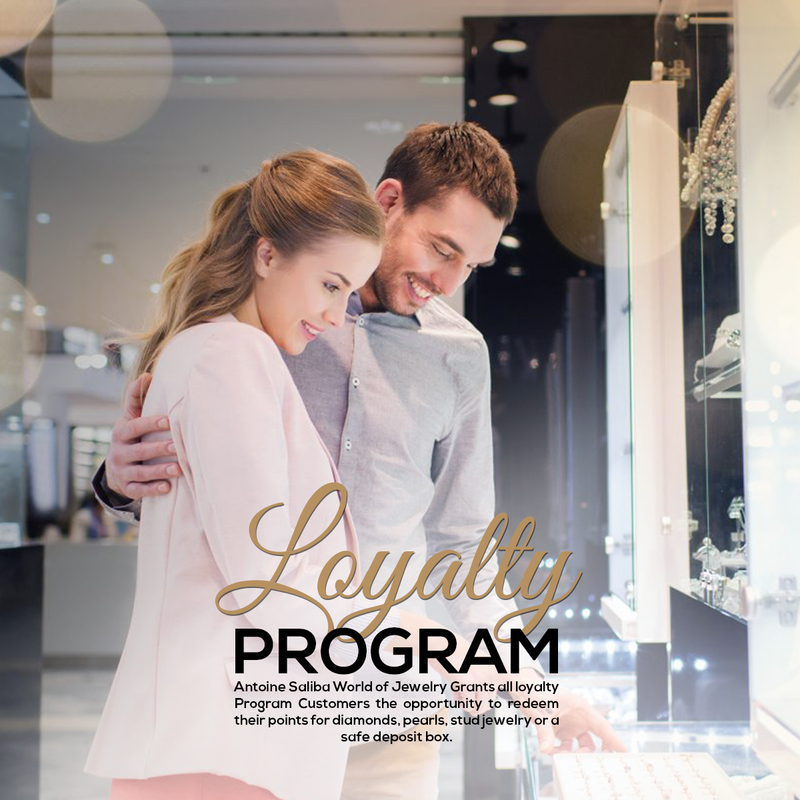 Cumulative points are the total loyalty points earned for all purchases regardless if redeemed or expired. Collect 500 cumulative points within 3 years and upgrade your account from Silver to Gold for more benefits. - Additional 5% discount on diamond jewelry, watches & pearls. & gold used during the repairs. - Additional 6 month warranty on watches & diamond jewelry. - Additional 15 days period to exchange any item. - Private invitations to exclusive promotions and events. Earned points will automatically expire after 2 years. Redeemed points will be deducted starting from the oldest points. If you have earned 500 points in January 2019, 300 points in February 2019 & 200 points in March 2019; then in January 2021, the points earned in January 2019 will be deducted first. The rest of the points will be deducted consecutively. This account is personal and only can the account holder benefit from its privileges. available on appstore and playstore to avoid losing valuable points.